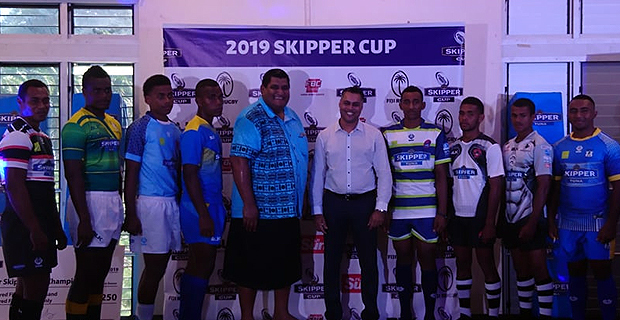 The Skipper Cup Fiji Rugby Championship will kick off tomorrow with the first match between Namosi and Naitasiri at Ratu Cakobau. Eight teams are participating this year. They include Nadroga, Namosi, Naitasiri, Suva, Rewa, Nadi and newly promoted Tailevu and Northland. Today, CJ Patel also handed over $551,250 cheque sponsorship to the FRU for the Skipper Cup competition. As part of the sponsorship, Under 19 and Senior teams will also get grants and rugby balls. The Fiji Rugby Union says each union will receive a grant of $50,000 for their Senior and Under 19 teams. The Senior Men’s winner will win $30,000 with the runner up getting $15,000. The winner of Under 19 competition will be awarded $5,000 and the runner up prize is $2,000. The final of Skipper Cup Fiji Rugby Championship is scheduled for 22nd June this year.